SYRACUSE — A Syracuse man is facing charges after being found in possession of firearms and drug paraphernalia during a traffic stop. Kegan Charles Young, 30, 209 E. Baltimore St., Syracuse, is being charged with possession of methamphetamine with enhancing circumstances, a level 5 felony; driving while suspended, a class A misdemeanor; possession a controlled substance, a class A misdemeanor; and possession of paraphernalia, a class C misdemeanor. According to the affidavit of probable cause, on Aug. 1, an officer with the Syracuse Police Department observed a tan Cadillac on Henry Street in Syracuse. The officer recognized the driver as Young and had knowledge that Young’s driver’s license was suspended. The officer conducted a traffic stop. Young reportedly told the officer that there were firearms in the back of the vehicle. He advised that someone had given him the firearms to get rid of. The officer arrested Young and found a glass smoking device used for smoking methamphetamine in Young’s left front pocket. Inside the vehicle, the officer discovered a bag that contained scales with a white powdery residue. The residue field-tested positive for methamphetamine. The officer also found a round container that contained an orange pill. The pill was identified as Clonazepam, a schedule IV controlled substance. The officer also located a 20 gauge shotgun and a pellet gun inside the vehicle. 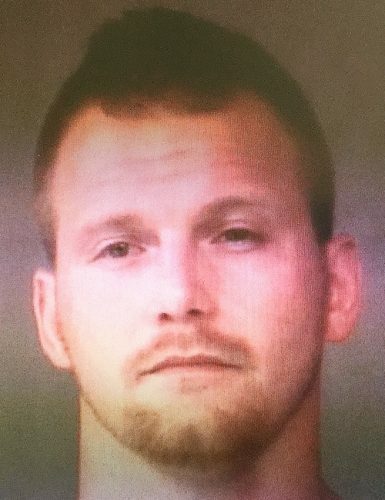 Young was booked at the Kosciusko County Jail Aug. 1, on a $5,250 surety and cash bond.